My Cattery name is S* All Inclusive and my name is Katinka Pålsson. I was born in south of Sweden but I´m living in the Stockholm area since 1983. I got my first cat in 2000, a white domestic cat who’s name is Snöflinga, RIP 1999-2018. 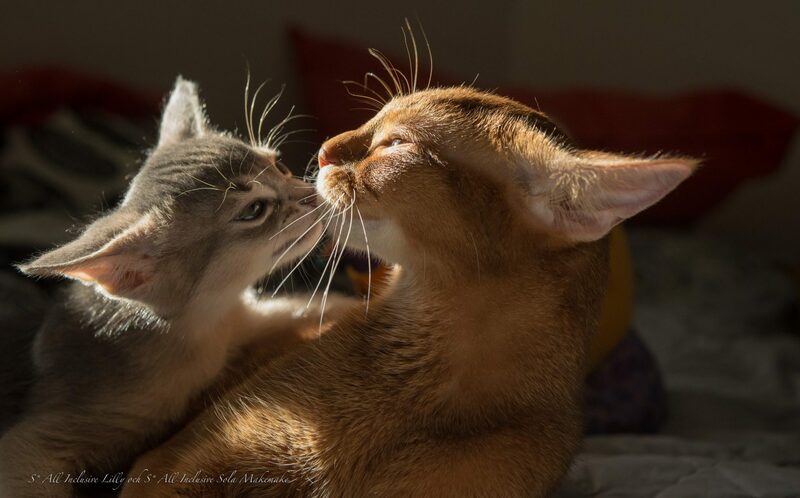 After a few years I wanted one more cat, definitely an Abyssinian. I had encountered 4 wonderful Abys when I visited my collegues one day. I got my Aby, EC S*Tsumari’s Midori as a present to myself in 2003. 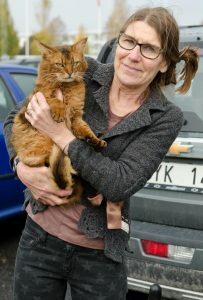 At a cat show in Stockholm I met Kirsi Vuori (owner of the cattery FIN* Kisompa´s) and her beautiful Somali cats. In October 2006 I imported my first breeding cat, a Sorrel Somali, GIC FI* Kisompa’s Daria, RIP 2006-2018, a wonderful lady who got her first litter in 2008.